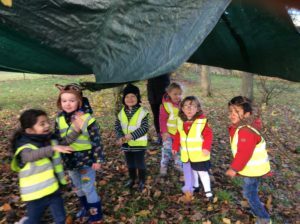 We have all settled back into Term 2 and are looking forward to the wonderful experiences we will have, all the practices before our Christmas nursery show and all the crafts we will have an opportunity to do. 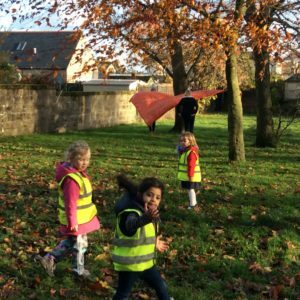 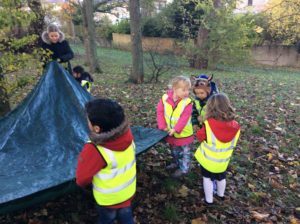 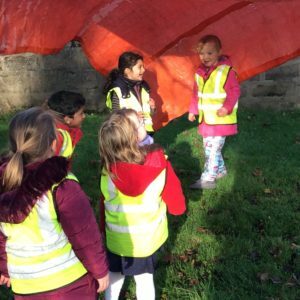 Together with nursery 1 we have been visiting the Woodies where we learned how to build dens using just tarpaulins and string. 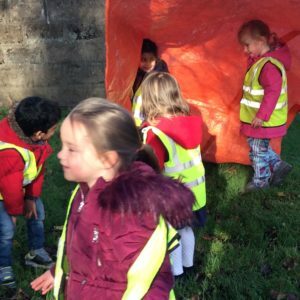 we worked together as a team and build some magnificent dens.